This is a personal response to a reflective question, given by a fellow student in Catholic Social Teaching. In response to the discussion of whether or not violence is required, or should be considered to keep us safe is a hard one to answer. I believe as a Catholic person it is important to look beyond our own personal needs and assumptions. We should look towards models of peace that have been achieved without violence. One of these models (and most importantly is) Jesus. The person and Son of God that modelled the very behaviour that we are trying to emulate. It often astounds me that people believe that fighting fire with fire is a (sure fire – pun intended) way to achieve justice. Jesus who was the sacrificial lamb for all of our sins stands before us and actively seeks and yearns for us to passively respond not in violence but in compassion and love even to our enemies. In response to the idea of 9/11. Often there are also two sides of the coin. Sometimes the media spoon feeds us information and we consume it so readily that we forget to look at the other side of the coin. Maybe this group (Al Qaeda) did intend to crash into the WTC or maybe they didn’t. It is difficult for us to know the exact answer without being apart of the inquiry or aware of the cultural and religious heritage of the ‘bad guys’. There are many speculations and unfortunately the government and responding body are not as transparent as an educated inquisitor would like. Was it a war on terror or was it a war for oil? There is evidence that suggests that this could have been the latter with passports found in the rubble soaked in jet fuel. This is a strange occurrence and more information can be found here. Additionally, we now have the missing Malaysian Airlines flight with government responses lacking (even though not having started a war, it is still questionable the response that the government have given to the public). Overall what I have been trying to say (maybe not as eloquently as needed) is that it is important that we as people practising Catholic Social Teaching model the behaviour that our sacrificial lamb also modelled. God calls us not into ‘just war‘ but into ‘justice’ and sometimes taking the difficult path of having to swallow our pride and apologise or actively seek a response that will accommodate both parties through education and compassion can potentially work. We teach our students to respond this way so why do our governments decide to respond in opposition. Finally a response in which a government has swallowed its pride and said sorry is Australia – there are times when I get confused and upset at what my government does but I deeply admire the commitment that was made for the indigenous peoples of Australia in 2008 when the government apologised nationally for the cruelty and oppression that these first land owners had to injure. For more information visit: Kevin Rudd’s 2008 Apology to the Stolen Generations. The article has three parts. Violence-Government’s Role-‘Sacrificial Lamb’! 1. Sure violence is not an answer to everything. But let me put in a story of a snake and a saint to elaborate my view on this. “There was a snake who killed many people in a village. Then one day a saint came to that village. Everybody complained about the situation they were in. The saint met the snake and told him not to bite any human ever. The snake obliged. As you said, there are two sides of the coin. But in my opinion, in this context, the coin stands straight. One side has been brought up in such circumstances, in such beliefs that it’s hard to point finger at any individual for the things they have done or doing. On the other side, I genuinely believe and support abstraction of information from Government to some extent as it’s not healthy to present a true situation to a very versatile audience with so many dynamic opinions. That would create chaos. 3. 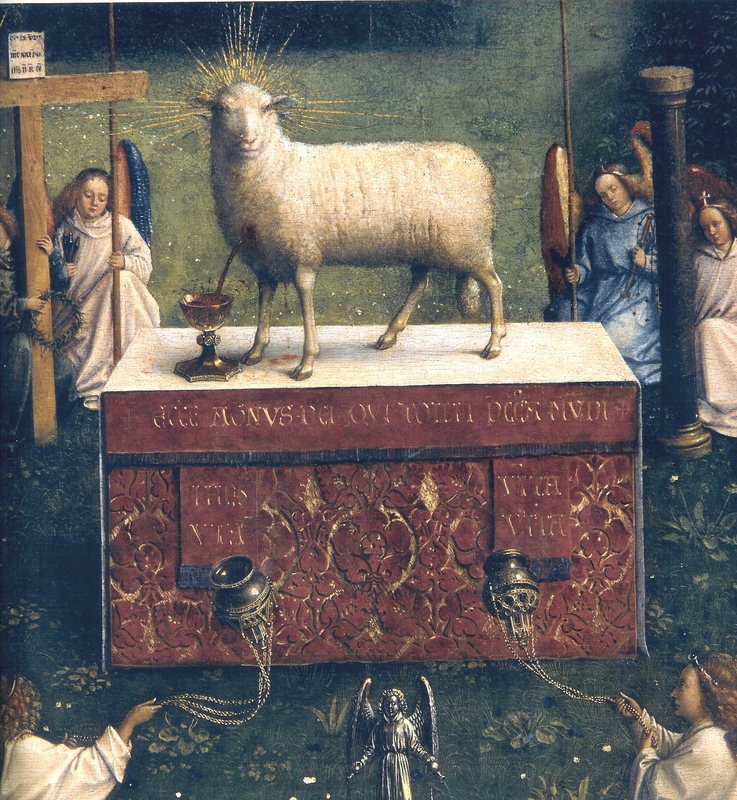 As far as the ‘Sacrificial Lamb’ part is concerned in this context, even though I do not know much about Catholic Culture and teachings, I do believe Jesus must have been more concerned about the lessons people would learn from his sacrifice rather than what people have been doing to him. He must have cared more about what path people would follow after what he taught in his lifetime than what he had to do due to the sins of others. P.S. You may find that I am very strong optimist and also believer of duality. The world cannot balance itself if there’s only good, only happiness, only non-violence, only Jesus, only Saint. There has to be bad, unhappiness, violence, Pontius Pilate, sinner to complement the other part. Then only humanity can thrive. Nice Post. Well, there are alot of theories regarding 9/11, I really hardly find a solid one to believe. But as a person from middle east. I think the war was unnessery call from USA Goverment and a reaction, and usually reactions results bad. I like what you said about managing conflicts through education and peaceful conversation. That why Nelson Mandila and Gandi considered as prime example of this century. There are alot to say about your post. These are few. Nice post, for 9/11, there are many theoaries and I hardly find a solid theory to beleve. As person from middle east, I find the WAR that the USA Goverment announced in 2001 and specially in IRAQ was more of reaction, and usually reaction ends bad. I wonder why as humen we cant learn from our mistakes and we follow our desaire and needs over the rights of others and that why WARS never stops. We find it hardly to lower our pride as nations (as you said) to avoid the worse. I like what you said about resolving conflicts through education and peacefull conversation, that why Nelson Mandila and Gandi considered as prime examples of our century. And even if you looked on our Islamic history and what Prophit Mohammed (PBAH) was during conflicts and how he avodied so many wars, and made arabs more civilized in managing conflicts, you will be amazed. Finally, applying justice as you said. Although its sometimes hard to accept for us as humen. Next Next post: Indulgent India: Weddings, Castles and Temples.